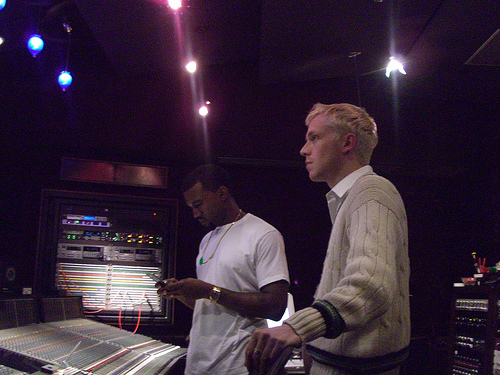 Mr. Hudson and Kanye West talk to Alan Carr of The Alan Carr Show in London on Sunday. I wish I could have found the video of the Supernova performance but everywhere I looked it had been removed. Still this is a great interview. Stan Smith Interview (Adidas Royalty & Tennis Great). Umm yeah he’s alive Ladies and Gents. I peeped the interview that Sneaker Freaker did with tennis legend Stan Roger Smith and Decided to give it some burn. You know the name Stan Smith from the Classic shoe that help put Adidas on the map? Yep, that Stan Smith. Homie is a Tennis Hall of Famer and the inspiration behind the OG Stan Smith shoe that was first released in 1965. Click here to read interview.